I then explained what an April Fools’ Joke is. I said “hold on, I’ll show you.” Then I start to cry out in pain because I’ve hurt my finger on my phone. (I hurt my fingers on a daily basis – so no surprise). My oldest say’s “Mom, what did you do now?” The youngest looks on with concern…. After about 30 seconds I say “April Fools! 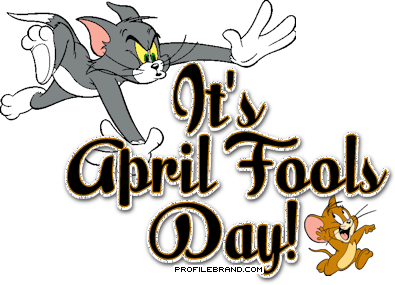 !” OK, so not the best prank ever, but it was a good one coming from me! Now let’s see what we can come up with to fool Daddy when he gets home from work…. Did you play a prank on someone today? Hey thats about me, but it is still funny! The words in your content seem to be running off the screen in Opera. I’m not sure if this is a format issue or something to do with internet browser compatibility but I thought I’d post to let you know. The design and style look great though! Hope you get the problem fixed soon. Thanks for letting me know! Though I have no clue on how to fix this format issue….. Thank you! Your reply has made my day. No, it made my week! however I do write in my journal every day. I’d like to start a blog so I can easily share my experience and feelings online. Please let me know if you have any suggestions or tips for brand new aspiring bloggers. Appreciate it! I would love to chat…. You can find me on Facebook, or you can send me your email address. Talk to you soon!